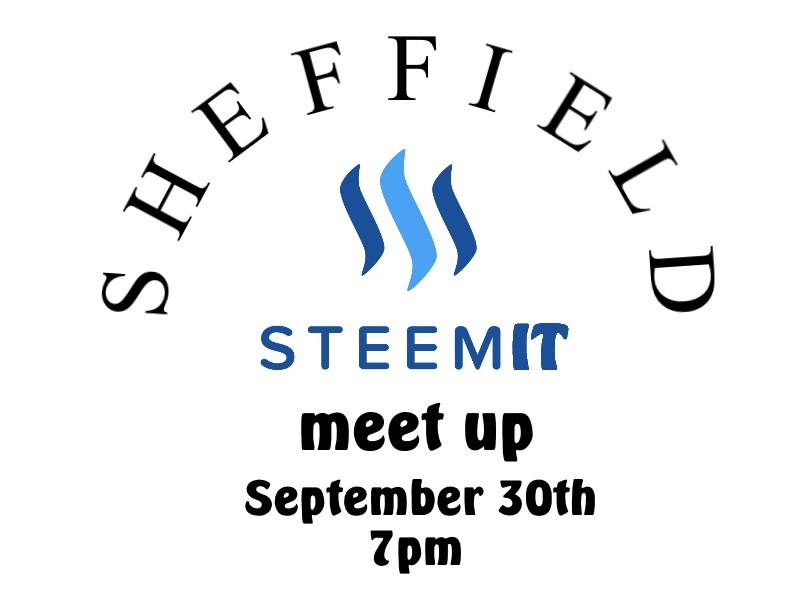 Based on the suggestions of several Sheffeild steemians, we finally announce the first ever Sheffield Steemit meetup will take place at 7PM 30 September, 2017, the venue of the event is 7 Broadfield Cl, Sheffield S8 0XN. You are more than welcome to join this event. Below is the detailed informaiton written by @artonmysleeve. Fellow Steemians of Sheffield and South Yorkshire, the time is getting closer only 2 weekends to go and it is our first ever Steemit meet up. This is a chance for you all to come along and meet each other, swap stories and talk about Steem in a no pressure environment. The venue has been chosen the date is set, are you ready for the first ever Sheffield Steemit meet up? You can come when you want, go when you want. All you have to do is turn up and meet us wonderful steemians. To visit our party please come along to Hardy Pick. This is a family-friendly pub that sells food, so why not bring your partners and have a few hours out with other good people. All welcome. Please resteem the more people the better. If you want to drop a comment to say you’re coming that is great, you can either tell me @artonmysleeve @johleen @wrongjohn. We are all fellow steemians and are looking forward to seeing you there. If you are from Sheffield and not listed yet, please leave your comment, I will add you to the above list. We look forward to seeing all Sheffield steemians then and there. It would be very appreciated if you kindly resteem this post or tell other interested steemians.